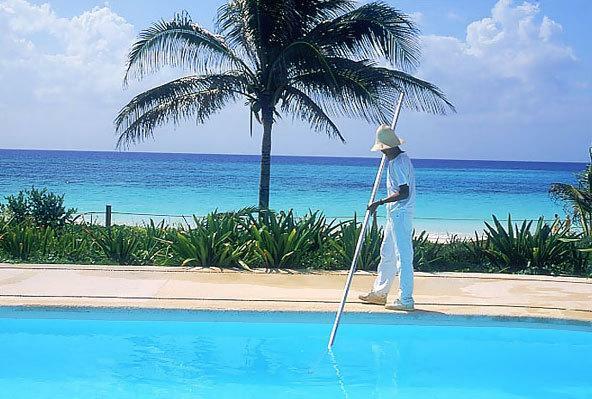 Mexico Villa 1500 is a 15,000 square foot estate set on a 47 idyllic, privately-owned acres directly fronting the gorgeous white sands of Xpu-Ha beach (rated as one of the top three beaches in the Riviera Maya). 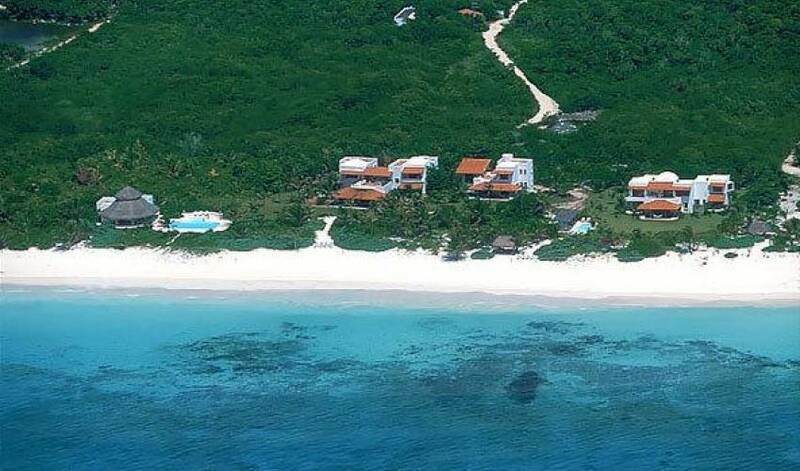 The estate is located on the Yucatan Peninsula of Mexico about 45 minutes south of Cancun, within 15 minutes from the fashionable and trendy village of Playa del Carmen, and is accessed via a private road bordered by lush, tropical jungle. 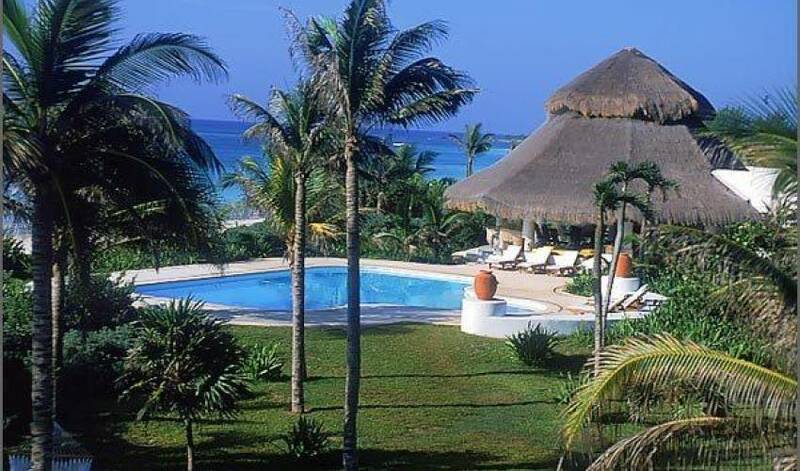 The villa was designed by Gabriel Nunez, the same architect who designed the acclaimed Las Alamandas Hotel for Isabel Goldsmith, daughter of the late magnate-financier Sir James Goldsmith. The interior decor of the villa has been done in a Mexican-modern motif blending traditional tropical elegance with vivid accent colors for contrast. The furniture, furnishings and artwork each are interpretations of the same theme. All the woodwork is done in mahogany and other exotic woods from the Yucatan and Chiapas jungles. 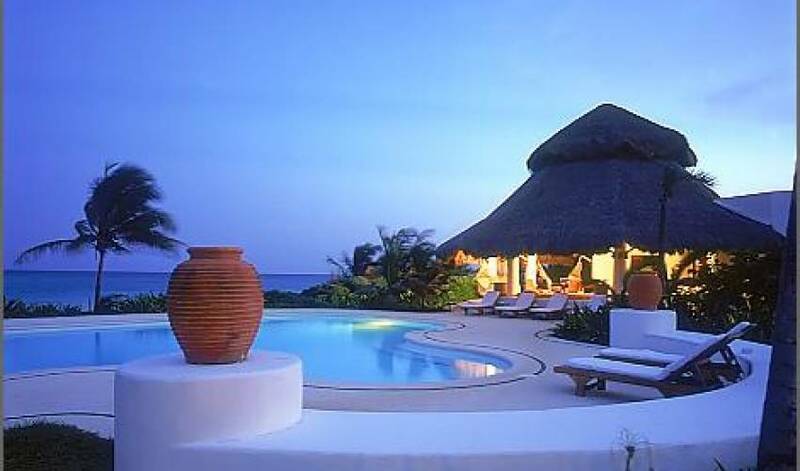 The main living and entertainment areas of the villa provide an open and spacious surrounding that maximizes views of the lovely gardens, pool, beach and ocean. The interiors open to generously-sized covered terraces that are amply supplied with plush lounge furniture and/or tables and seating for informal dining and conversation. 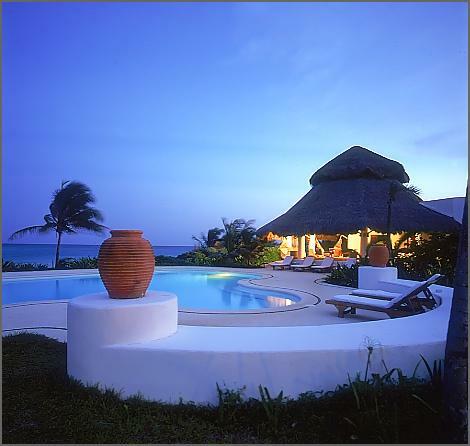 The Villa has eight air-conditioned bedrooms, most with sitting areas, en-suite bathrooms and private balconies or terraces. 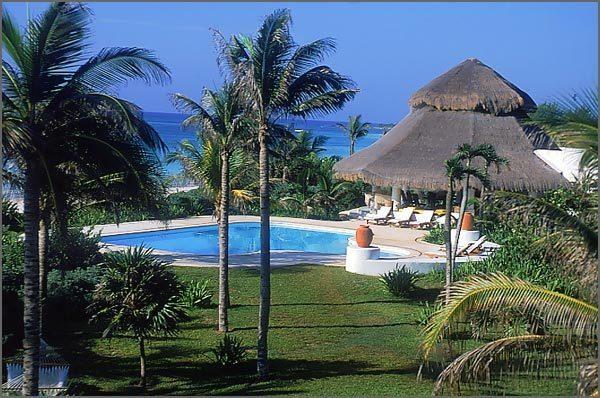 The pool area is on the ocean side of the villa, bordered by tropical foliage and a huge poolside palapa with a casual living area, a palapa bar, table seating for informal dining, a gym/exercise room and two bathrooms. 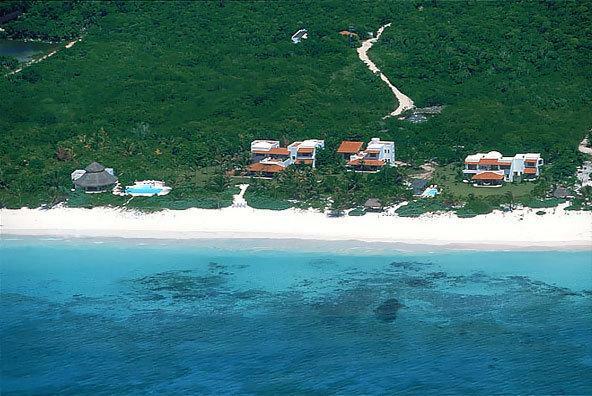 A short pathway from the villa and the pool leads onward to a the brilliant white sands of Xpu'Ha Beach. 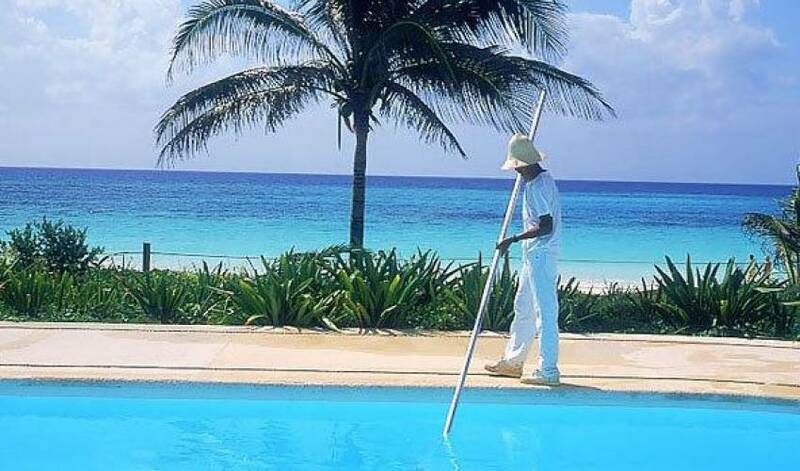 The Villa has a well-trained and very attentive permanent staff of eight - consisting of a cook, maids, butlers and gardeners who maintains the night-illuminated grounds in impeccable condition. 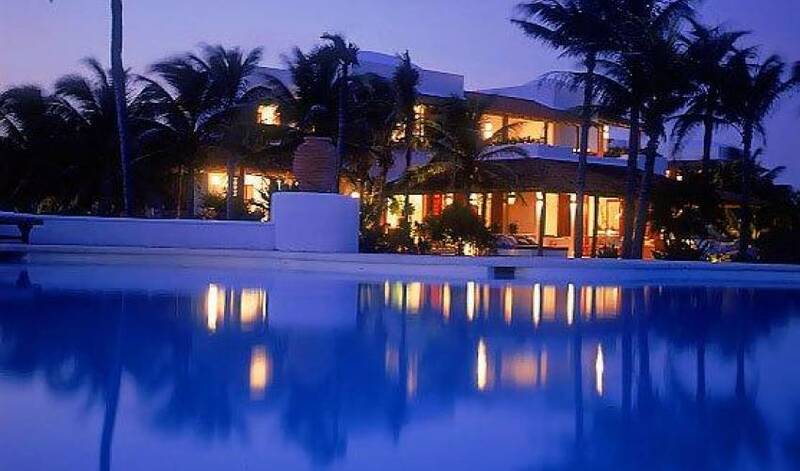 Within a 15 minute drive from the villa guests have access to a myriad of activities including golf, tennis, fishing, water sports, cultural tours exploring the area's Mayan history and to the trendy boutiques, fine dining and nightlife in Playa del Carmen. 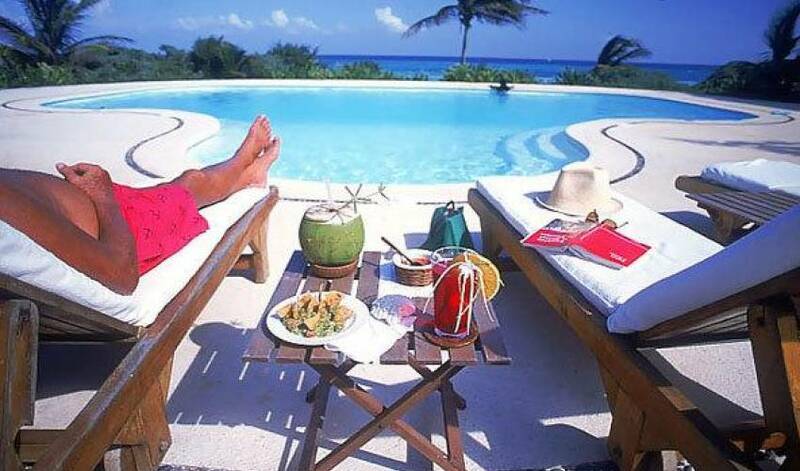 The Xpu'Ha Palace and the Copacabana Hotels are within walking distance along the beach. 3 suites with terrace, double bathroom (one with jacuzzi) walk in closet and 2 bedrooms, all with a/c, also includes living room, dinning room seating 12, two antena-T.V., DVD, fully equiped kitchen, laundry, etc. 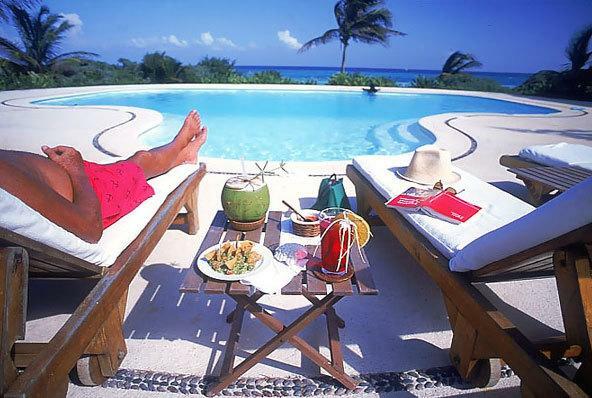 3 master suites with a/c suplement living room, kitchen, dinning area terrace, two antena-T.V. DVD, one of the suite is a duplex. Dinning, living, 2 bathrooms, kitchen and a gym a/c and swimming pool area. 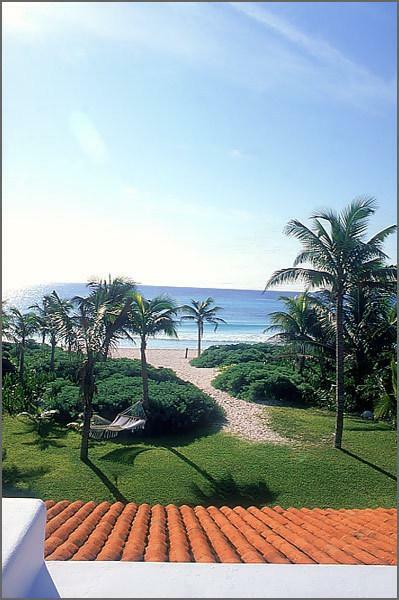 45 minutes south of Cancun’s International Airport. This villa was designed to appeal to those who value healthy outdoor activities such as swimming, snorkeling, scuba diving, hiking and jogging, but who also desire the comfort and enjoyment of beautiful surrounding, or you can just relax around the pool with a good book. 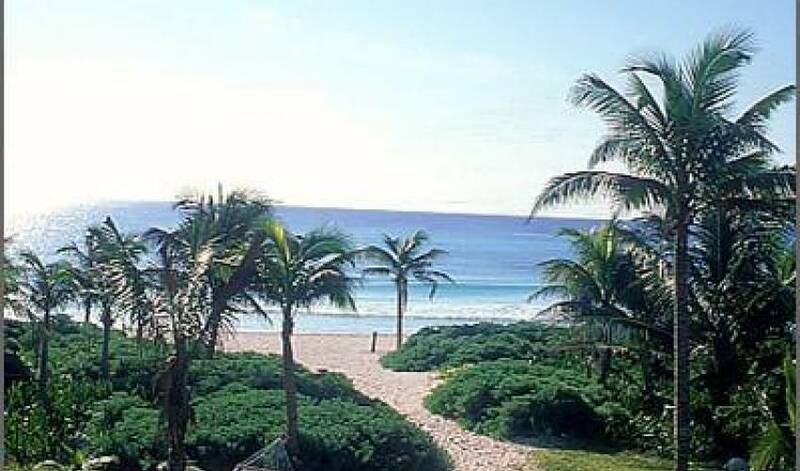 Only 10 minutes north, you can swim in the river with dolphins, see a “charreria” -Mexico’s horse show, explore the butterfly pavillion or the botanical gardens. “Xcaret At Night” is a sound and light show depicting Maya rituals and traditions. At 20 minutes, an amazing archeological site on Mexico’s Caribbean coast, built on top of the cliffs, it used to be the Maya’s main port. The only mayan ruin by sea. At Coba you can climb the highest pyramid in the Yucatan Peninsula. The walk through the jungle to this site is beautiful with chances to see jungle wildlif. (Considerer one of the seventh world wonders). You will need to leave very early if you do not plan to spend the night there. 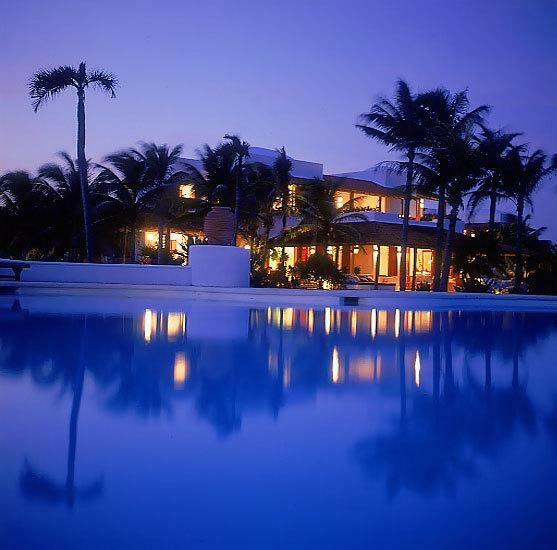 Consider spending the night at the Hacienda or Mayaland Hotel in order to see the sound and light show at the ruins at night. All overseas telephone calls will be charge to guest’s account & should be paid in cash.